Today, we went to Lin Family gardens in Banqiao, New Taipei City, Taiwan. We joined her coworkers for a full day of relaxing and strolling through the gardens and the old houses of the Lin family. "The Garden was built during 1888 to 1893 and it is the only classic garden as historical site. 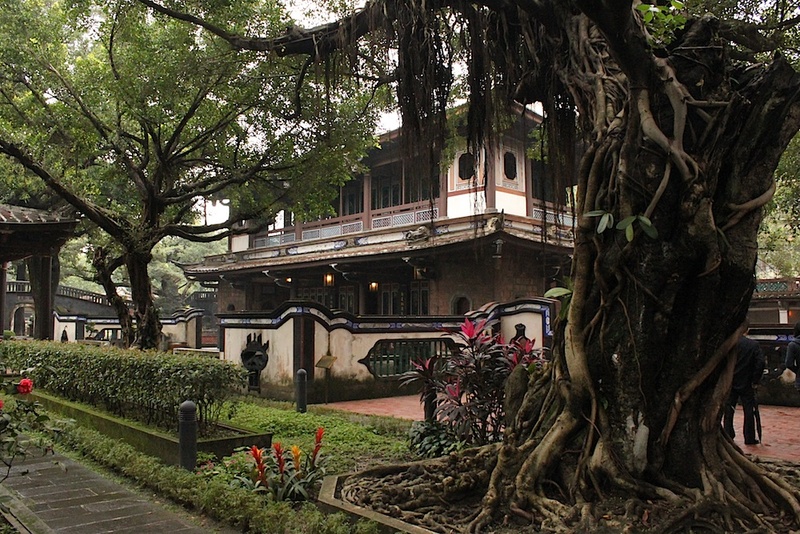 It is also the well-kept model building representing gardens and residences of Qing Dynasty. Its garden scenes are inspired by Chinese traditional gardens as well as the style of south of Yangtze. The place is eloquent and is listed as 2nd degree historical site." The size of the property, various architecture, ponds, artwork, flowers make this a worthwhile visit. They also have occasional traditional art performances. Last time I visited, I was unable to catch a show, but this time I was able to catch a traditional chinese puppet show. Afterwards we headed into the traditional market nearby called HuangShi (黃石市場). There, Yuki's coworkers introduced us to many famous food stands. The famous squid soup shop, breakfast shop, shaved ice shop. Unfortunately the market was too big for me to remember where they were. Traditional markets like these are really off a tourists radar and "local". 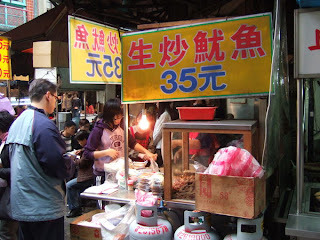 With no street names and similar looking street stall really make you depend on local Taiwanese help. Of course, you can also just follow the lines of people outside of the famous stands. 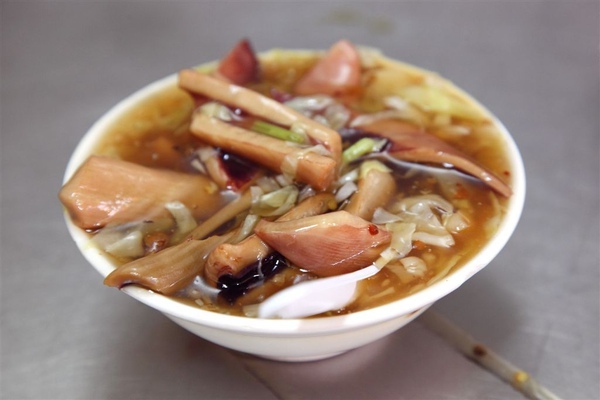 Here's a picture of the squid soup place. Hard to miss that line wrapping around the corner! I thoroughly enjoyed my day. Thanks to Yuki's local tour guide friends for showing me the local side of Banqiao instead of the typical Far-Eastern mall and Global mall that I visited earlier this year.I hope to revisit this place as it's very convenient to get to. It's just a short skip and a hop away from the Fuzhong MRT station (捷運府中站) on the blue line.